Video technology has been influencing theatre for decades, but never has it been easier or cheaper to incorporate into productions. Today, video design and projection is so accessible that it forms an integral part of the aesthetic of smaller, emerging companies such as Kill the Beast, whose animated backdrops have helped it to stand out among its peers. Even student shows are now making use of sophisticated projection mapping. Much of this is driven by technological change. Discussing developments in the industry, PRG XL Video’s project director James Morden singles out media server technology – which stores and controls projected images, as well as allowing integration with other staging elements such as lighting – as a game-changer. 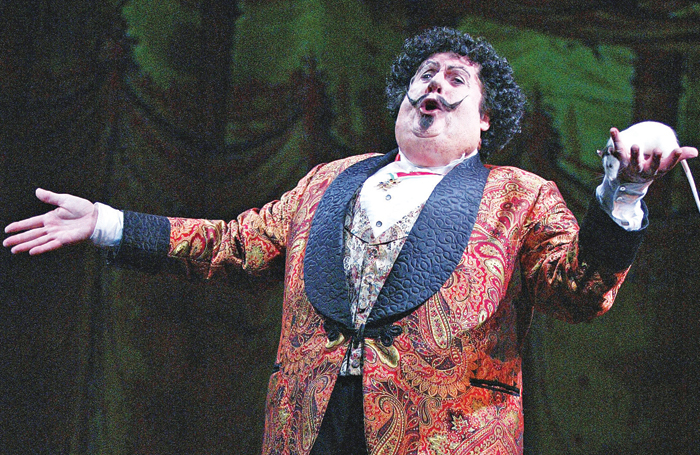 “It means that it is becoming more affordable to integrate video into theatrical productions,” he explains. In PRG XL Video’s work with theatre companies, Morden has seen the impact of this across a range of scales, from the West End to smaller London theatres to regional venues. Ed Cooper of Blue-i Theatre Technology, who among other projects worked on last year’s Olivier Awards ceremony, adds that “technology advancements with media servers and projection have allowed a more accessible platform for designers and production teams to incorporate video into productions as a new medium, rather than using video for the sake of video”. Video is now just one part of a broader design process. While the cost of projection has been brought down, he notes an absence of “big, groundbreaking technological things” over the last decade. One area that has become more advanced and accessible in recent years is projection mapping: the art of designing video to be projected on to a range of different surfaces, rather than simply one flat backdrop. In theatre, this creates the possibility of projecting on to numerous pieces of set, while outdoor projections can now adapt to all sorts of settings and surfaces. Cooper sees this as an exciting area, but cautions that “how we design systems for this requires a lot of thought and new ways to manage content”. The proliferation of projections also poses the question of what role video plays in a medium defined by live performance. For Warner, video design is ultimately about transformation, allowing for surprises and rapid changes of scene. He insists, though, that this transformation has to be in service of the narrative. As he puts it, “a technology is just a technology until someone has a good idea about how to use it”. He adds that he is most interested in projection “when the fabric of it is continuous with and imperceptible from the physical design”. 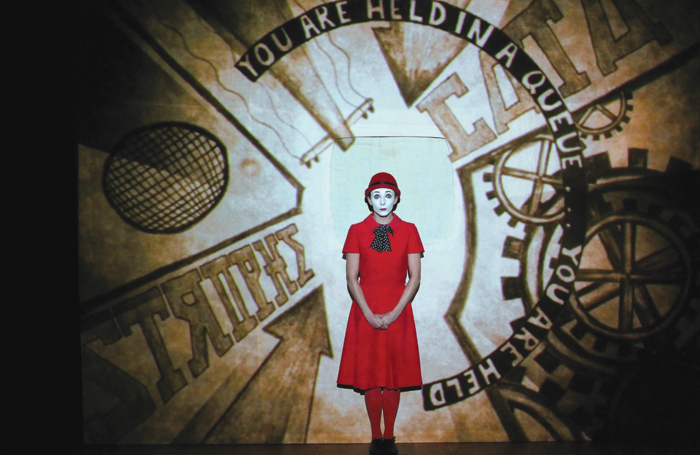 Video and projection technology provides, in Cooper’s words, “a new canvas” for theatre. “Being able to bring sets alive can really add to the visual and emotional character of the piece,” he says. Morden suggests that video can add “the dynamic of moving background elements, so that a street scene has passing traffic, pedestrians, wind in the trees and so forth, while not aiming to be a distraction”. It all depends on the production and the vision of the creative team. Warner describes the process as one of “sitting down with the set designer and director multiple times”, collaborating in order to “develop the visual language”. Morden agrees that working together closely is key. 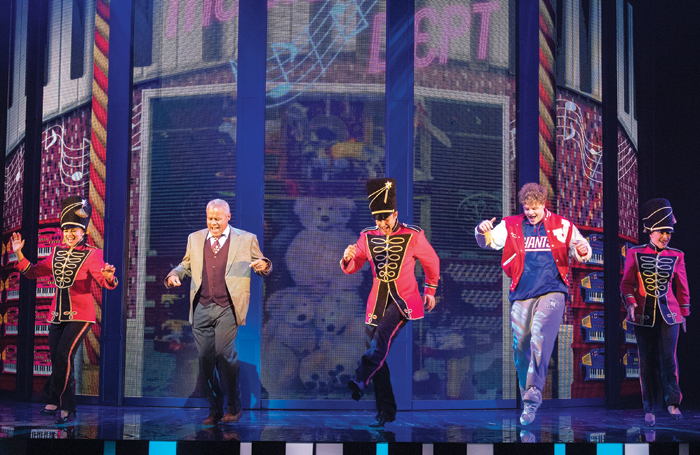 “Integration of video elements into any theatrical project is a team collaboration,” he says. When video design misfires, it’s often because the projected elements are not woven into the look of the show as a whole. So what next? Cooper predicts that media servers, which have already offered greater flexibility for theatremakers working with projections, will become even more powerful, while the development of laser projection will eventually remove the need for lamps and noisy projectors. Malcolm Mellows, his colleague at Blue-i Theatre Technology, meanwhile, looks forward to seeing “more real-time interactive content and effects”, possibly even involving audience participation. Warner takes a broader view still, suggesting that the real potential for evolution lies in transforming spatial design for theatre and taking some of the lessons from projection design into the design of physical sets. He sees inspiration in other fields such as film, animation and architecture, which are all using technology as a creative driver. 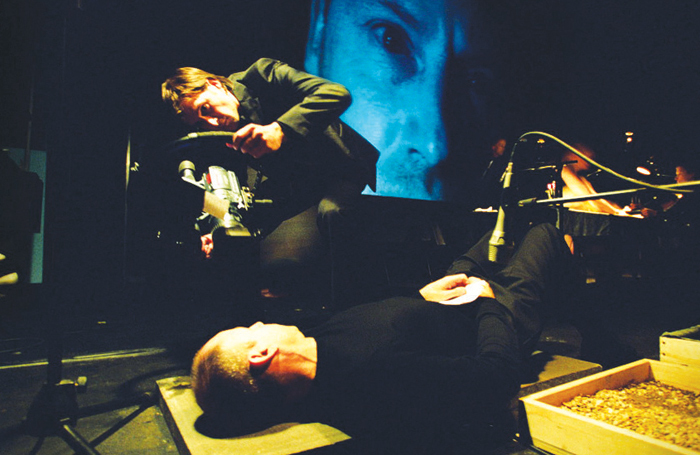 First created in 1991 and restaged last year at the Barbican, Needles and Opium  established French-Canadian theatremaker Robert Lepage as a multimedia innovator. In this show, projections helped to transform a revolving screen (this became a large rotating cube in the later staging) into a multitude of different settings as the piece moved between Paris and New York. William Dudley’s design for the 2004 West End production  of Andrew Lloyd Webber’s musical incorporated video projection on to moving pieces of scenery, a technique that was groundbreaking at the time. The production was also unusual in that it relied almost entirely on the projected CGI backdrops to set the scene, giving video design a starring role. Malcolm Mellows describes the show as a “high point” of digital scenery. Katie Mitchell’s multimedia adaptation of Virginia Woolf’s novel  marked the start of a strand of work the director calls “live cinema”. Working with 59 Productions’ Leo Warner, Mitchell pioneered a form of theatre that involves simultaneous recording and projection: performers operate cameras on stage, in full sight of the audience, allowing cinematic effects to be projected on to large screens. The technique has since been used on shows such as …Some Trace of Her. With its second show, which toured all over the world, 1927 honed its distinctive technique of playful animated backdrops. 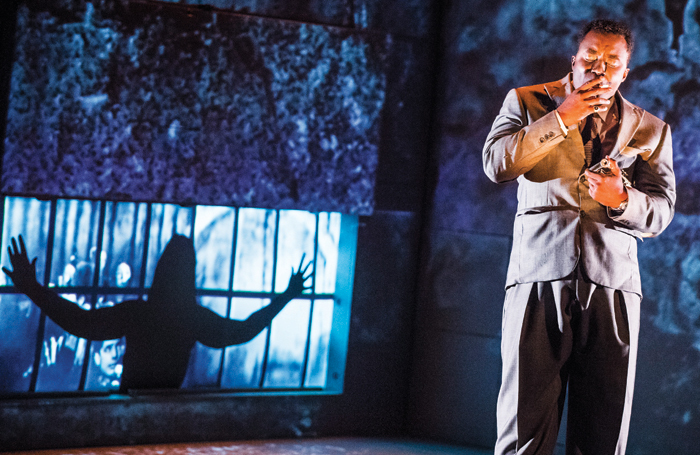 The company uses projections as an integral part of its storytelling arsenal. In The Animals and Children Took to the Streets, live performers interacted knowingly with the projected animations, creating an aesthetic somewhere between comic strip and silent movie. 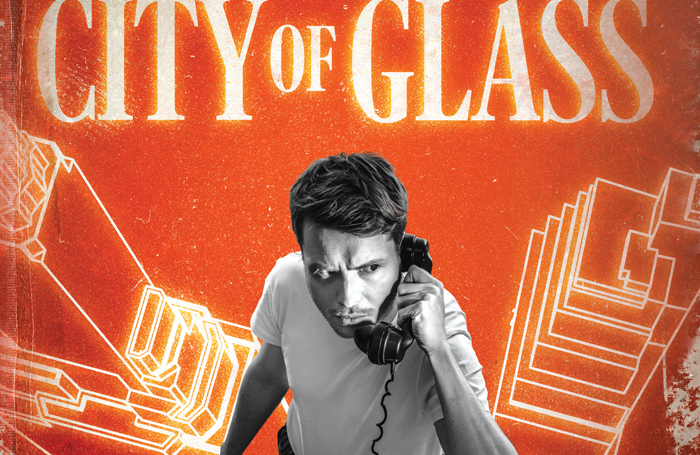 As the first show to be initiated and led by 59 Productions, City of Glass has a uniquely holistic approach to design. The production concept has been developed simultaneously with Duncan Macmillan’s script, creating a physical world for the show’s protagonist. The onstage product is “a really fluid world which feels really solid but can transform at the click of fingers,” says Leo Warner. 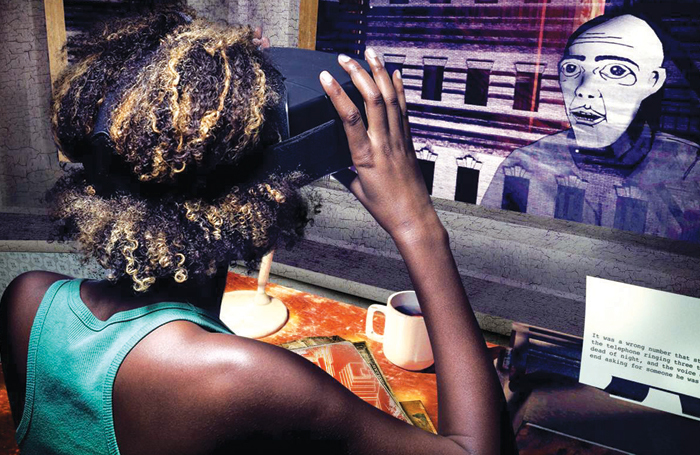 A virtual reality experience will also be running alongside the show.